Fabulous waterfront views and the lowest priced home in Mira Lago, makes this home a Win-Win! Open, airy, and spacious describes this nearly new 3BR/2BA/2CAR with relaxing water views from most every room! Big kitchen with solid surface counter tops, expansive service bar, cheery breakfast nook, and all appliances included! Popular split bedroom plan for the ultimate in privacy! Nice master suite with bay window and elegant garden bath, with walk-in closet. There is also a screened lanai to enjoy your morning coffee while soaking in the breathtaking views! This home is nicely landscaped, and has been used as a second home....which means, hardly lived in!!! Plus we have a brand new HVAC - 10/18! Clean and ready for quick close! Enjoy all the amenities that this gated Mira Lago community has to offer....community pool, tennis, playground, and scenic waterviews! 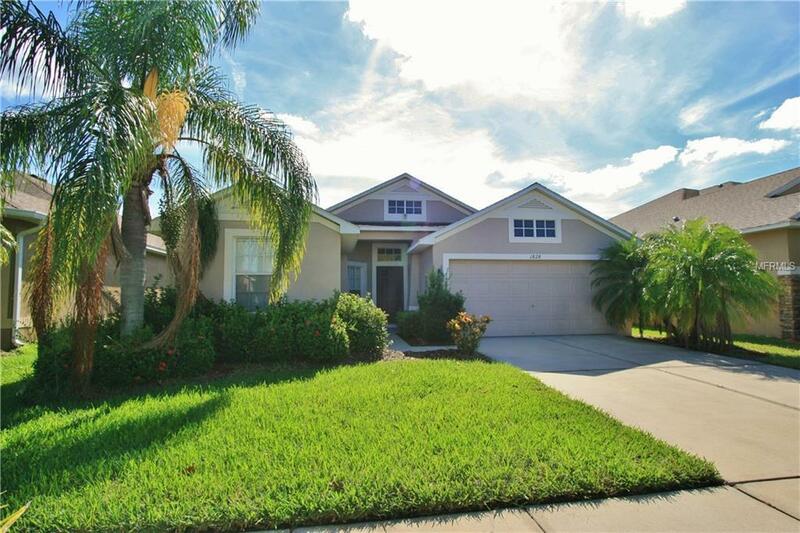 This is the perfect home to enjoy the perfect Florida lifestyle at a reasonable price! Make your appointment today!